Paul Moreno notes that, despite the fact that many of the founding fathers were slaveholders themselves, they recognized the institution as morally reprehensible—the question in their minds was one of political wisdom in eliminating it from the country. As Frederick Douglas came to recognize, the founders wrote the Constitution as a document defining and protecting the liberty of all men, by which they hoped to provide for the eventual eradication of slavery by constitutional means, rather than by revolutionary means. You point out that the Constitution doesn't even use the word “race,” it even avoids the word “slave.” It sounds good and ennobling in a way, but weren't these founding documents, the Declaration and the Constitution, weren't they written by a bunch of slave holders? Many of the founders were slave holders. Not a single one of them argued that slavery was good. None of them made a justification of it. Every one of them understood that slavery was wrong, the question was what could we do about it? I think no one's a better illustration of this than Thomas Jefferson, a slave holder. 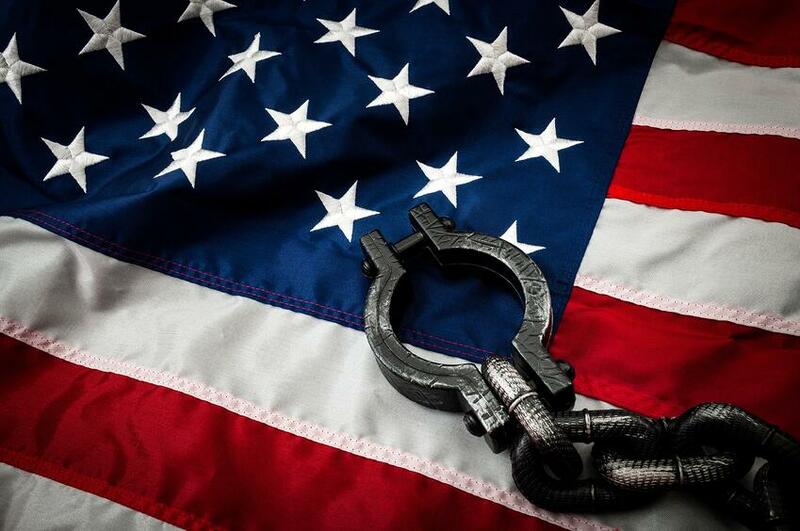 Over and over again Jefferson said, "We know that slavery is wrong," as he said, "I tremble for my country when I reflect that God is just and that his justice cannot sleep forever, but what do we do about the institution as it actually exists? What practical steps can we take? What would be the consequences of immediate and complete emancipation?" The founders wrestled with this question of, "We have something that we know is wrong, but what do we actually do about it?" The Constitution compromised with the institution only insofar as the founders thought they had to. This is really a question of political prudence. You can make the argument that the founders conceded more to slavery than they had to to get the Constitution ratified, but there was no question in their mind that the institution was morally wrong and that they needed to put it in the course of ultimate extinction, as Lincoln said. Frederick Douglass is, I think, the abolitionist who came to see this most clearly. He started out, as a lot of abolitionists did, saying that the Constitution was a pro-slavery document. As William Lloyd Garrison said, that it was “a covenant with death and a pact with hell” and they would burn the Constitution publicly. They were as much dis-Unionist as the southern, pro-slavery secessionists. Then Douglass came to read the Constitution and to understand it in its historical context and its background, understanding the political philosophy behind the Constitution. By the 1850s he had split with the Garrisonians about this and made this argument, that the Constitution was actually a glorious liberty document and that there was no problem of dealing with slavery under the Constitution, so that you could preserve the Constitution and preserve the Union. The best way to get rid of slavery was by constitutional, not by revolutionary means.